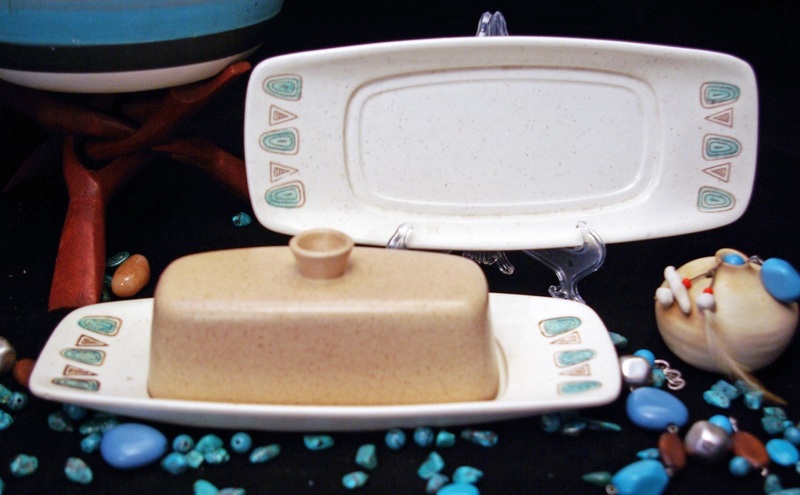 A fresh new way to purchase classic California Pottery made by Franciscan, Metlox & Vernon Kilns. 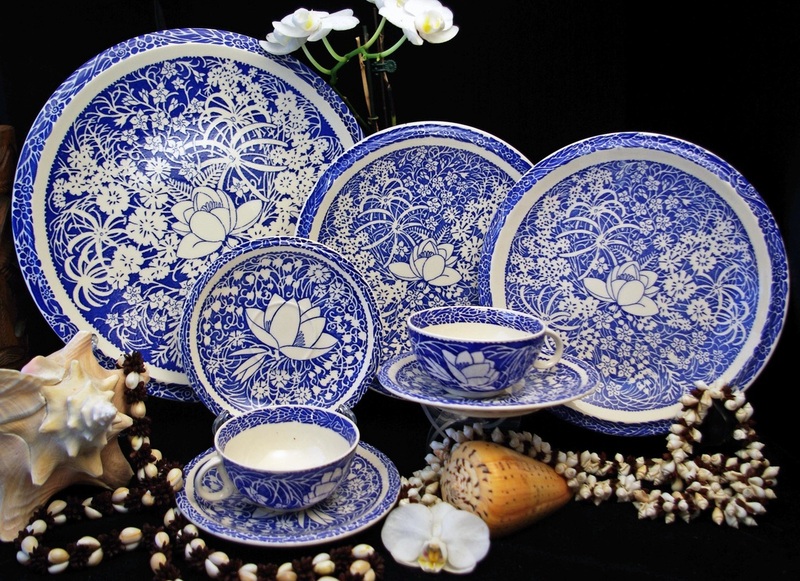 Restaurant dinnerware is now available from Wallace China of Los Angeles & Tepco China of El Cerrito. 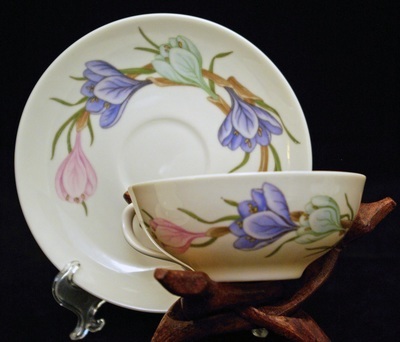 Just added Jackson China of Falls Creek Pennsylvania restaurant dinnerware. Enjoy beautifully arranged photography of your favorite mid century modern dinnerware patterns. Classic Original ​Tepco China "Squaw Valley"Coffee Cup. Measures 2-7/8" diameter, 4-1/4" long from rim to handle & 2-1/2" deep. Hallmarked on back with Tepco China trademark. Excellent Condition; no chips, no cracks, no stains. 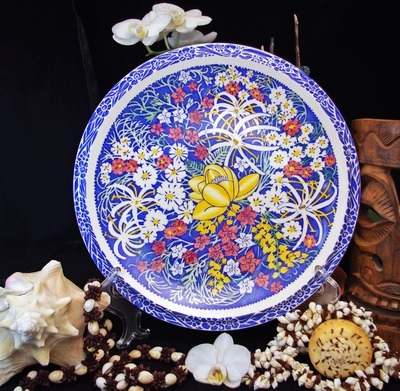 Classic Original ​Tepco China "Squaw Valley" Dinner Plate. Measures 9-1/2" diameter & 1" deep. 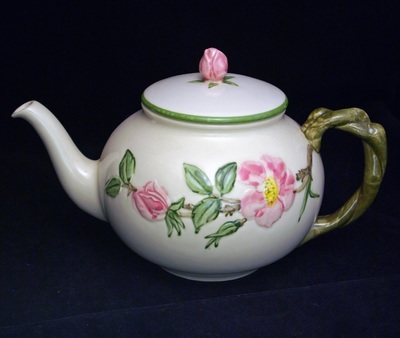 Hallmarked on back with Tepco China trademark. Excellent Condition; no chips, no cracks, no stains, glaze pops, light utensil wear. 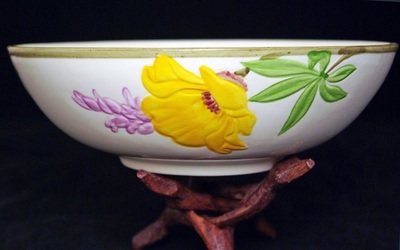 Classic Original ​Tepco China "Squaw Valley" Cereal Bowl. Measures 5-3/4" diameter & 2" deep. 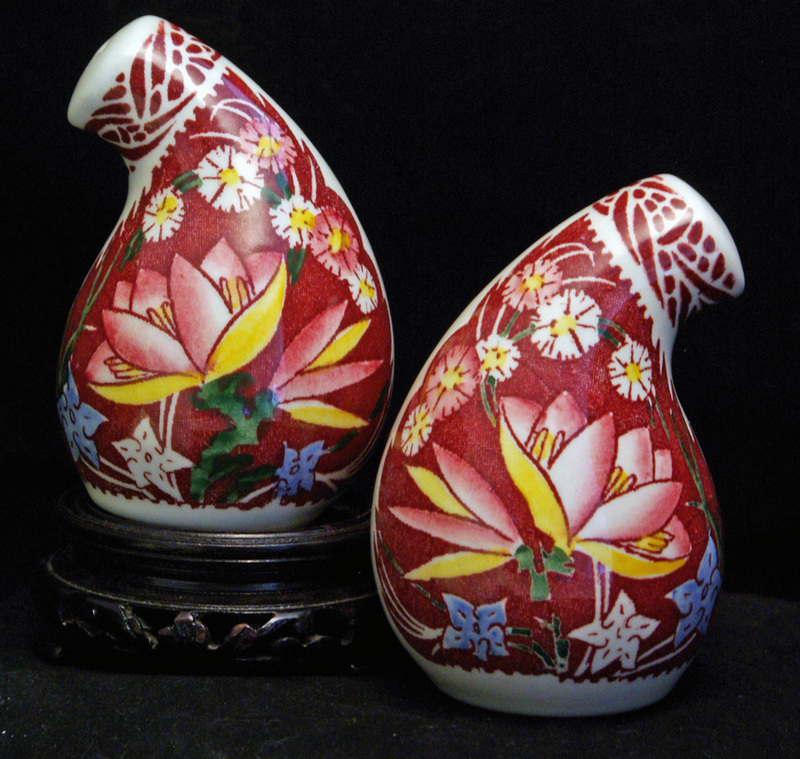 Hallmarked on back with Tepco China trademark. 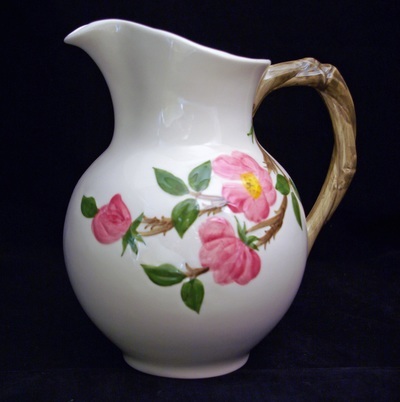 Very Good Condition; no chips, no cracks, utensil wear, some marks. 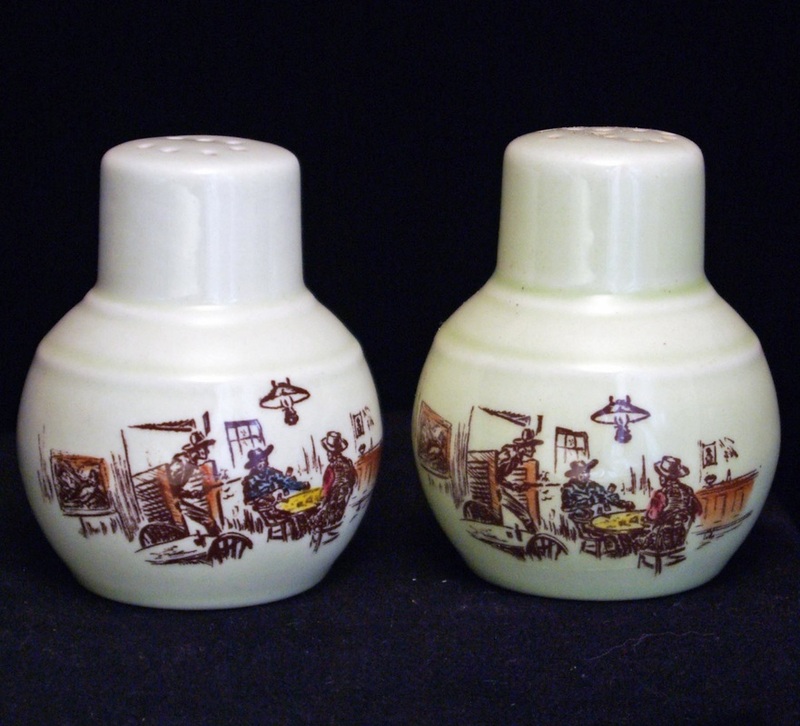 Classic Original ​Tepco China "Squaw Valley" Condiment Jar & Lid. Measures 3" diameter & 3" tall to lid finial. Hallmarked on bottom. Excellent Condition; no chips, no cracks, no stains. 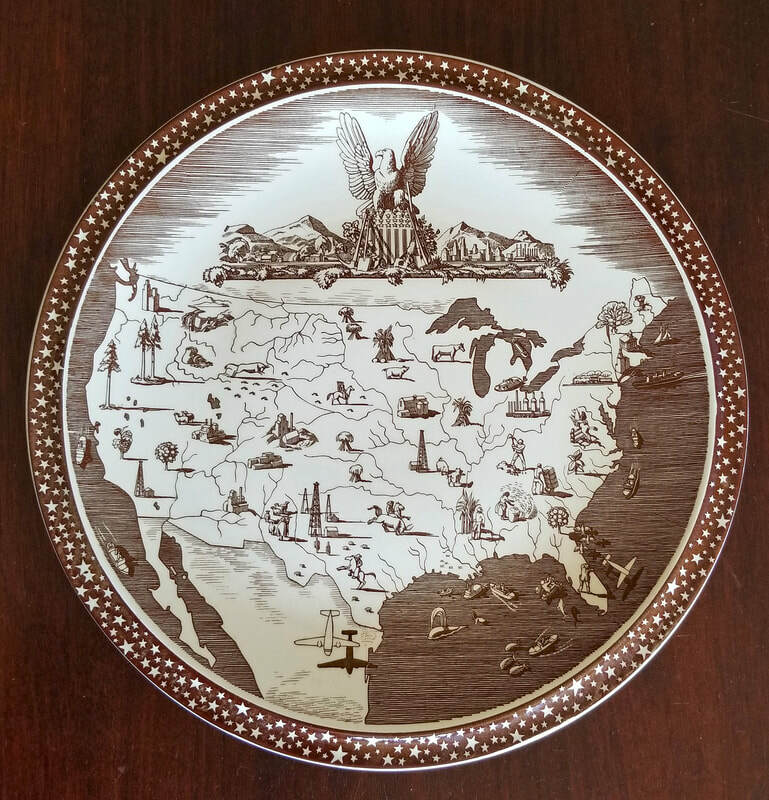 Classic Original ​Tepco China "Squaw Valley" Dessert Plate. Measures 6-1/8" diameter & 3/4" deep. Hallmarked on back with Tepco China trademark. Excellent Condition; no chips, no cracks, no stains. Classic Original ​Tepco China "Squaw Valley" Salad Plate. Measures 7" diameter & 1" deep. Hallmarked on back with Tepco China trademark. Excellent Condition; no chips, no cracks, no stains, glaze pops. 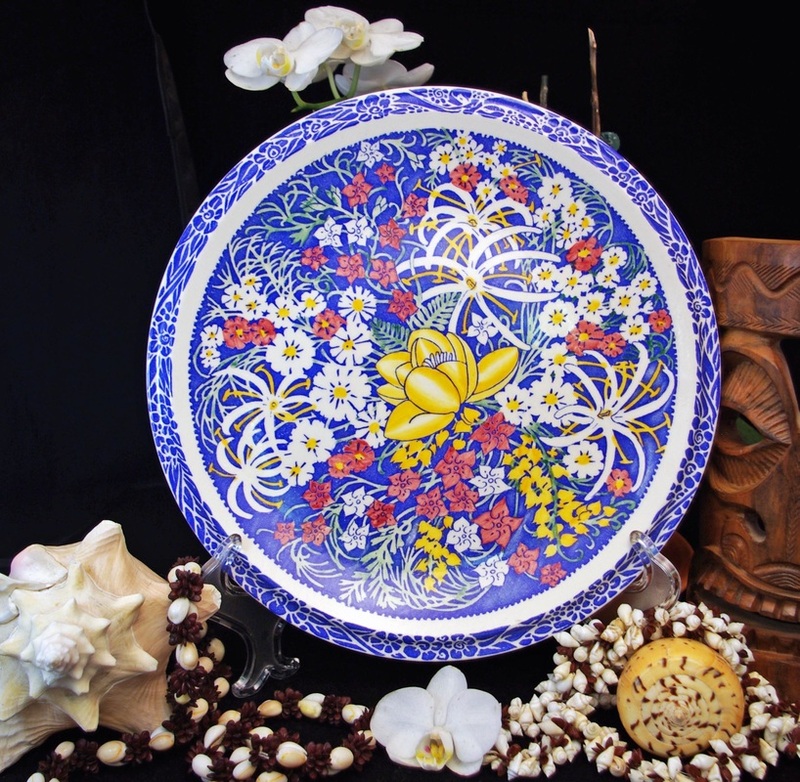 Classic Original ​Tepco China "Squaw Valley" Bread Plate. Measures 5-3/8" diameter & 5/8" deep. Not Hallmarked on back. Excellent Condition; no chips, no cracks, no stains. 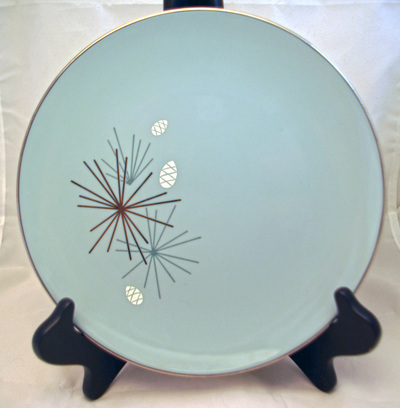 Classic Original ​Tepco China "Squaw Valley" Serving Platter. Measures 11" diameter & 1-1/4" deep. 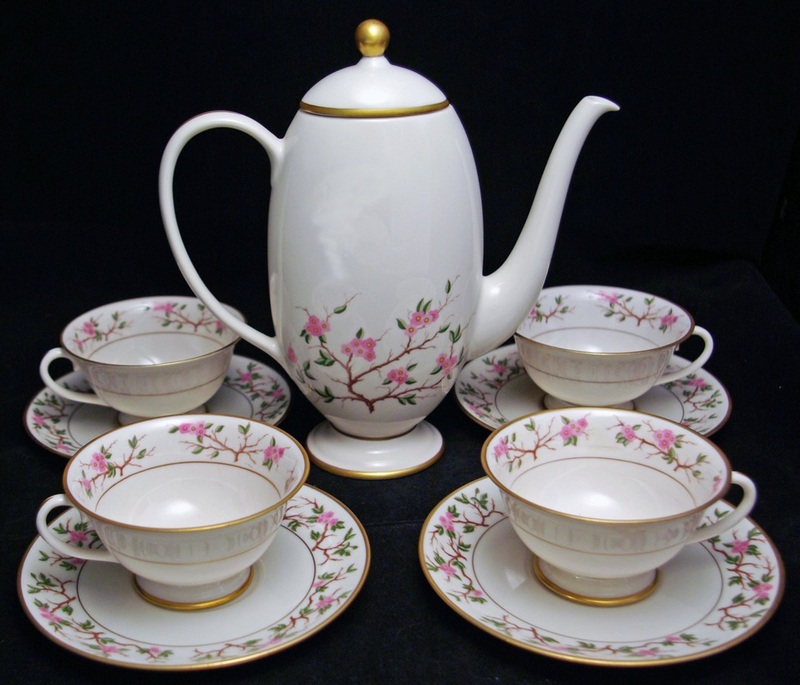 Hallmarked on back with Tepco China trademark. Excellent Condition; no chips, no cracks, no stains, some transfer slip lines under glaze. ​ In a bid to increase his speed, the Frenchman then honed his revolutionary “egg position”, now known as the tuck, a lower stance in which he squatted down with knees bent, arms outstretched and fists clasped together. 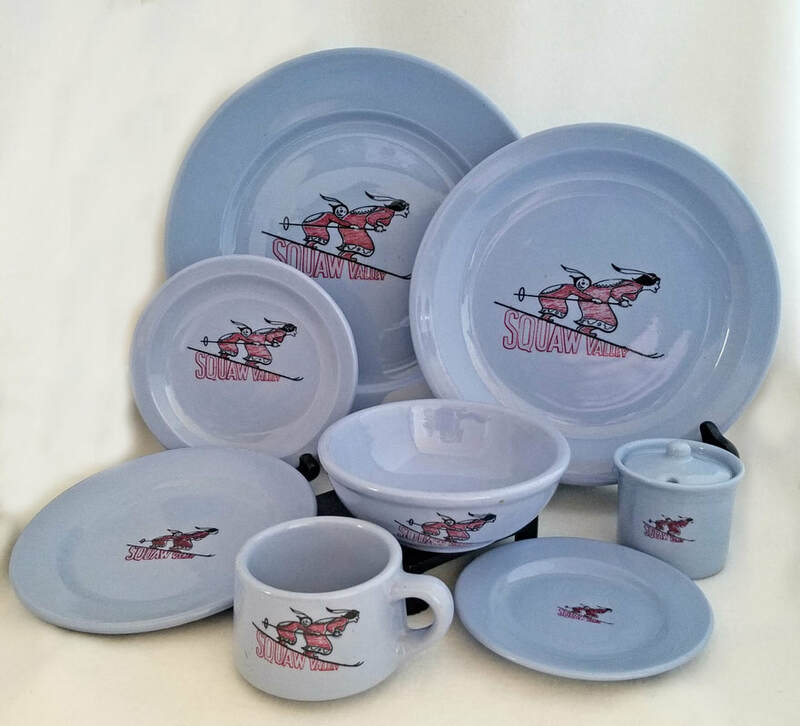 Though the position would be adopted by every downhill skier in the years that followed, Vuarnet was the only competitor to use it in Squaw Valley. 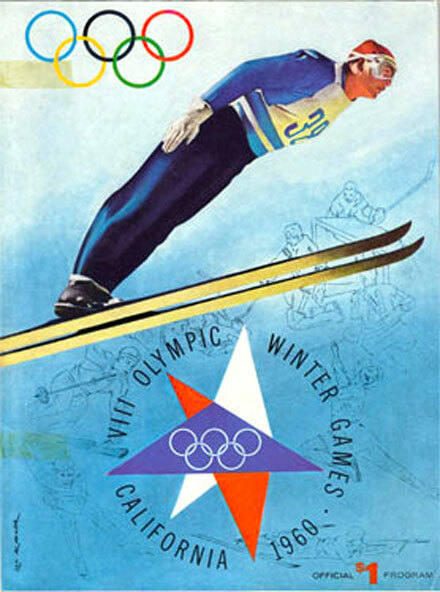 And it was not the only innovation he unveiled on the slopes of California in 1960. 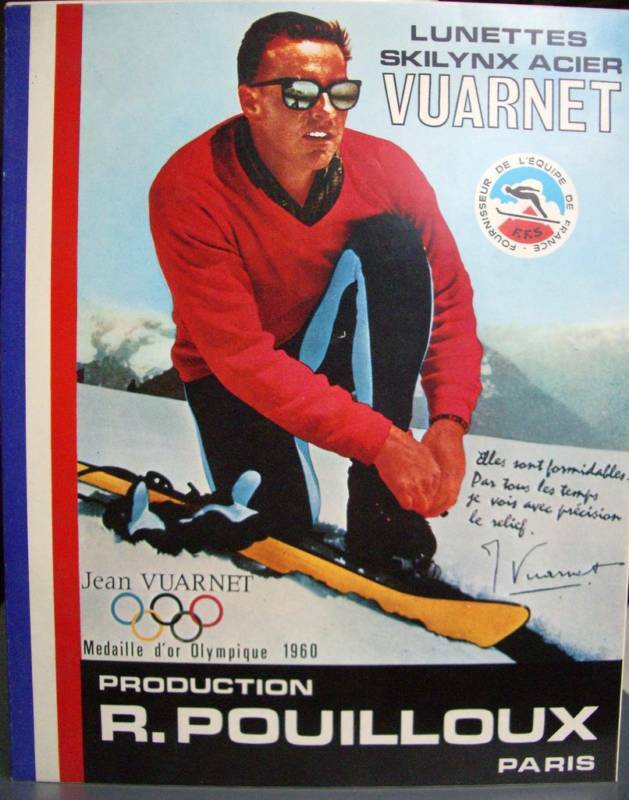 The French ski manufacturer that supplied the national team had provided Vuarnet with wooden skis that he found far too flexible. “It was a disaster,” he said in an interview. “So I went to their factory in Voiron and had a good look around. I came across a pair of metal skis that were just my size. 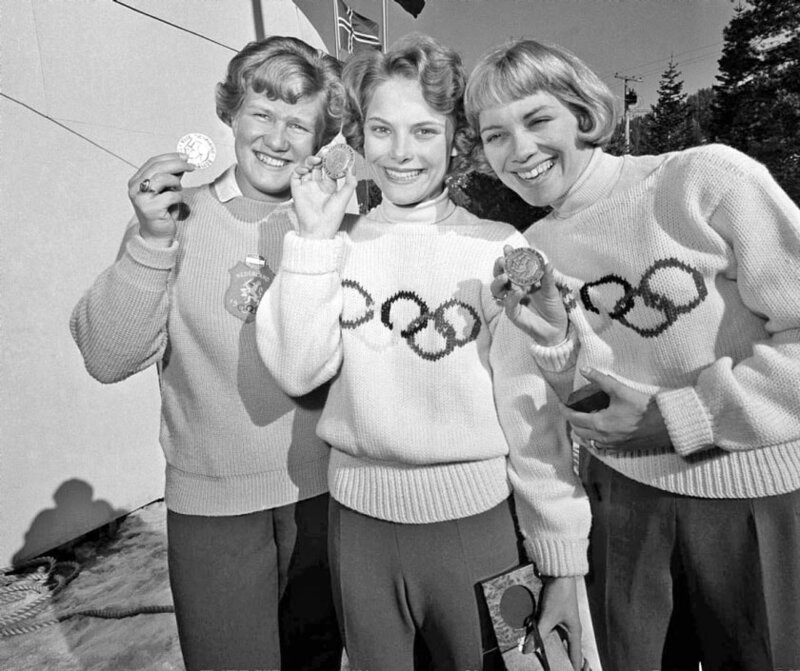 He got his hands on his new skis just a few days before the downhill at Squaw Valley and went on to become the first skier in Olympic history to win gold on metal skis. Vuarnet’s stunning victory in Squaw Valley thrust him firmly into the international limelight. On returning to France, he launched an eponymous line of eyewear that used a new type of glass and enjoyed success around the world. He caused a sensation when, at the age of 19, he became the first non-Scandinavian jumper to win the coveted Holmenkollen Festival title in Norway. During that triumph he showcased his distinctive jumping style, developed in conjunction with his East German team-mates and which involved him leaning forward with his arms stretched out in front of him. 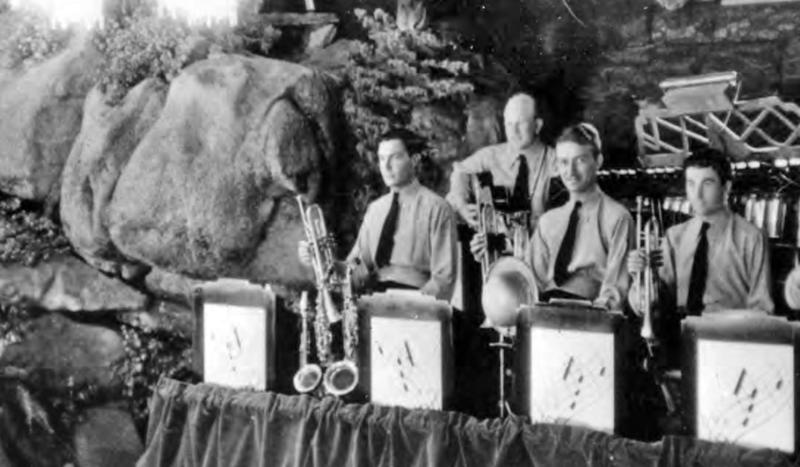 On March 21, 1955 a group purchased the lodge for $1 million. During this period, the hotel was frequented by members of the Kennedy family including John F. and his brother Robert. Author Scott Lankford claims that John F. used the lodge to carry on an "endless series of extramarital affairs with wealthy divorcees and Tahoe's notoriously ubiquitous prostitutes". 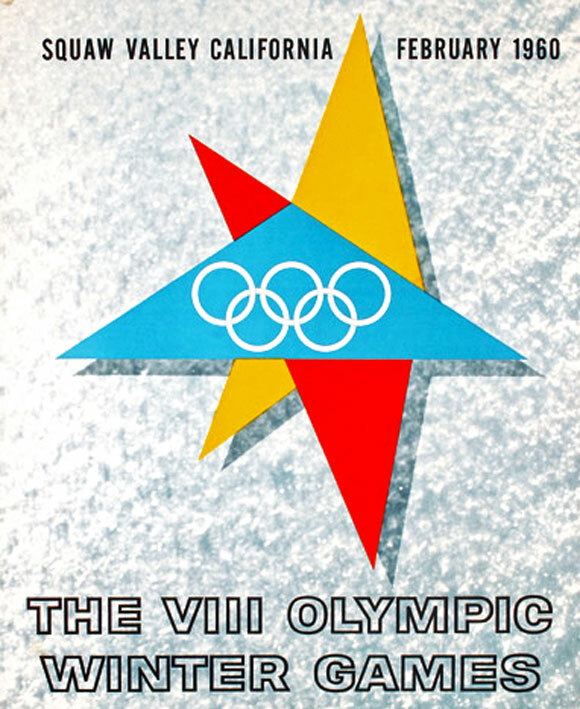 The lodge served as accommodation during the 1960 Winter Olympics, held at nearby Squaw Valley Ski Resort. 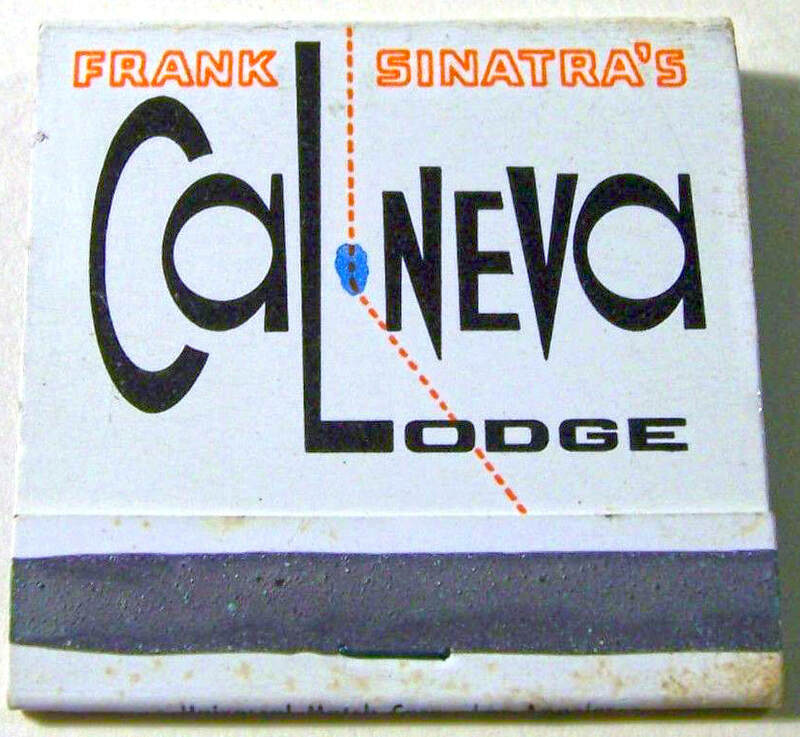 Frank Sinatra first visited Cal Neva in 1951; his trip made the national press as he overdosed on sleeping pills and this was reported to the local sheriff. 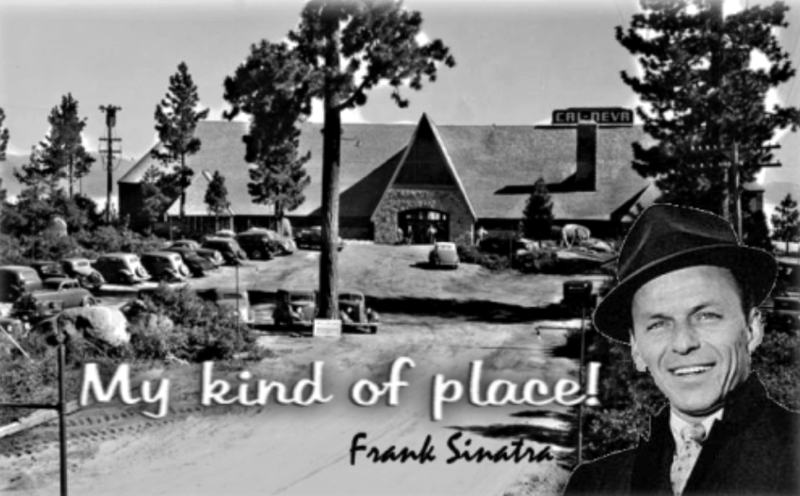 Sinatra publicly bought the resort in 1960 through his company, Park Lake Enterprises. He decided to open the property year-round; it had only previously opened for the summer season. Sinatra built the Celebrity Room theater and installed a helicopter pad on the roof. He re-utilized prohibition-era smuggling tunnels beneath the property to allow mob members to move around the property without being seen by the public. 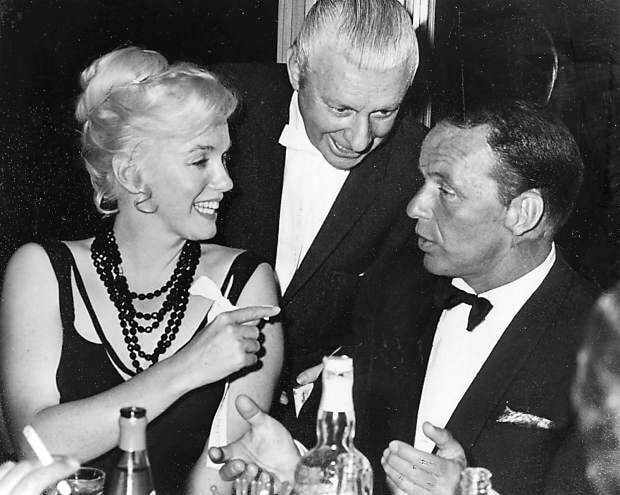 The Sinatra period saw extravagant parties and visits by celebrities such as Judy Garland, Liza Minnelli, Kim Novak, Shirley MacLaine, Sammy Davis Jr., Tony Curtis, Janet Leigh, Lucille Ball, & Desi Arnaz. A California-based development company, purchased the property in spring 2013, and closed it on September 5, 2013 for a complete renovation. 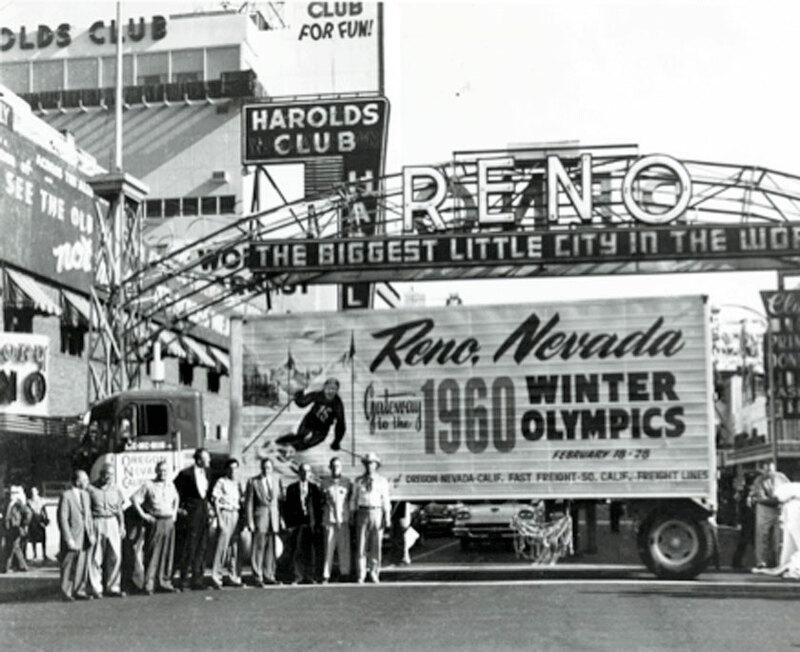 The development project was originally estimated to take at least a year and was sought to restore the Cal Neva's original 6,000-square-foot gaming floor, complete with a full slot machine display and the return of table games. The project was initially planned to finish by December 2014, but reopening was delayed multiple times due to difficulties with construction and financing. 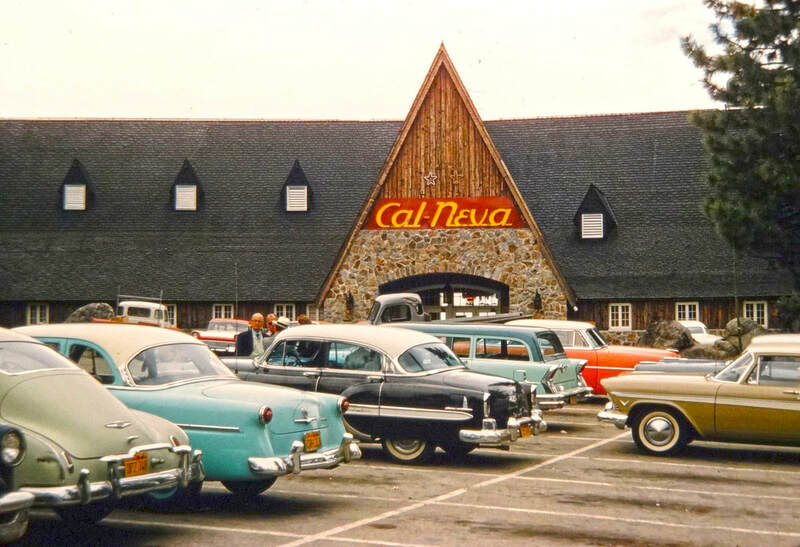 The company filed for bankruptcy protection in July 2016, and the Cal Neva was then put up for auction. Billionaire Larry Ellison was the sole bidder, purchasing the property for $35.8 million in January 2018. Coming Together in La Plaza. 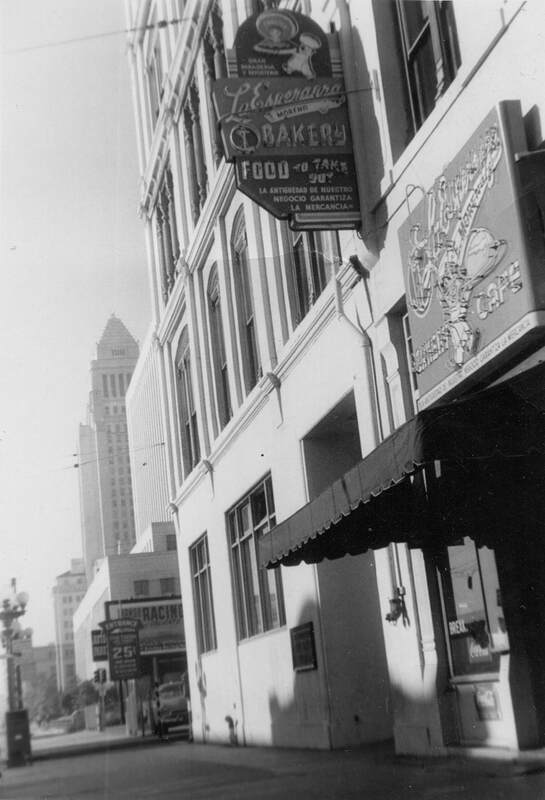 Ezequiel Moreno, a native of Zacatecas, Mexico, started a bakery in his home in 1918, and in the 1920s moved to La Plaza in the heart of downtown Los Angeles. He named the bakery La Esperanza, meaning hope. 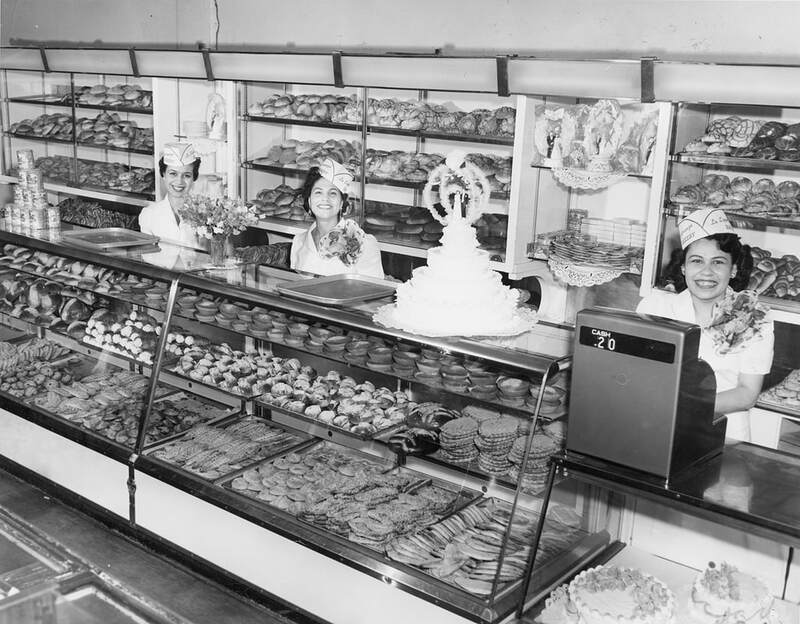 Soon it was frequented by customers across many segments of the Los Angeles community. ​​Outdoor neon marquee sign from La Esperanza, around 1950. 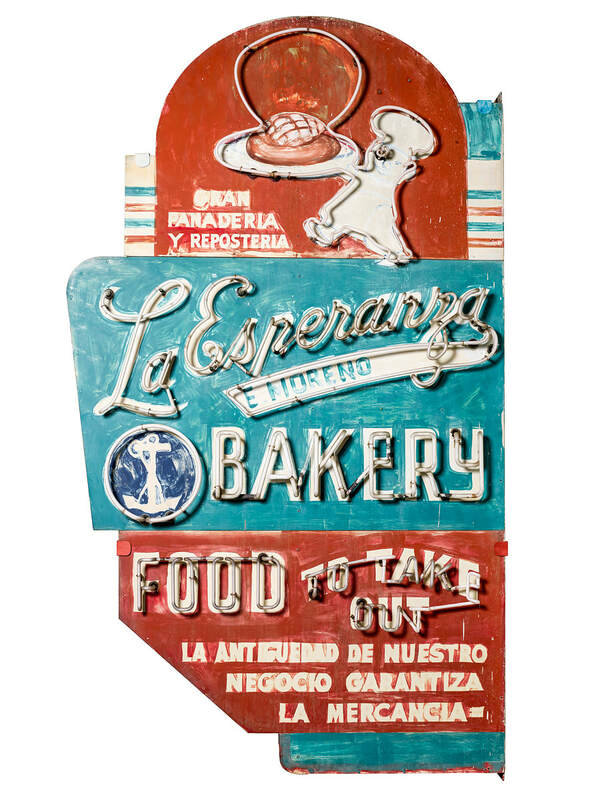 ​The red, white, and green colors of La Esperanza’s sign reflect the Mexican heritage of Ezequiel Moreno, owner of the bakery. The anchor symbolizes hope & establishing roots in his new country. 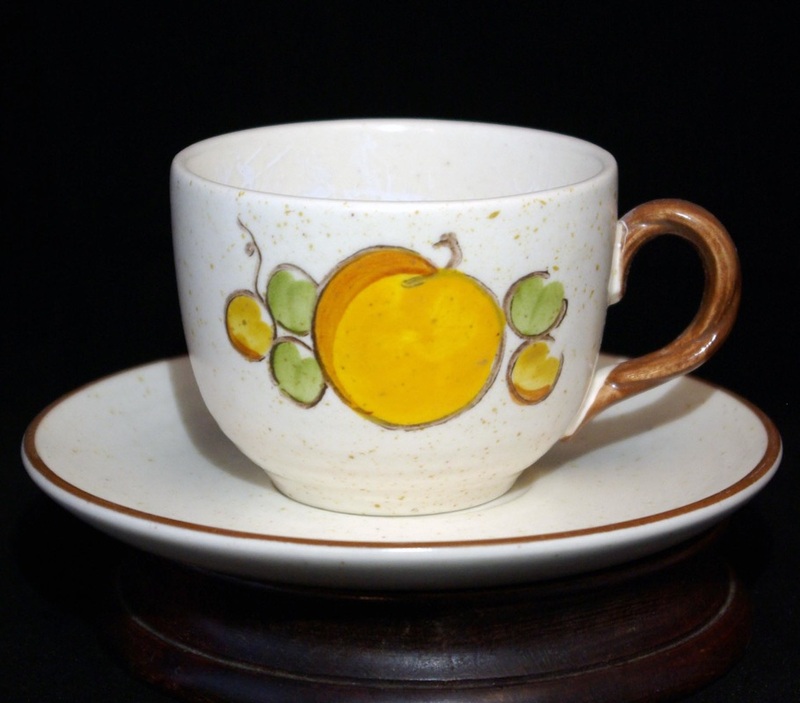 This dinnerware was used by customers at La Esperanza, a bakery and restaurant that flourished in downtown Los Angeles from the 1920s to the 1970s. Catering to the diverse communities that lived and worked in and around downtown, La Esperanza served both Mexican and American foods. 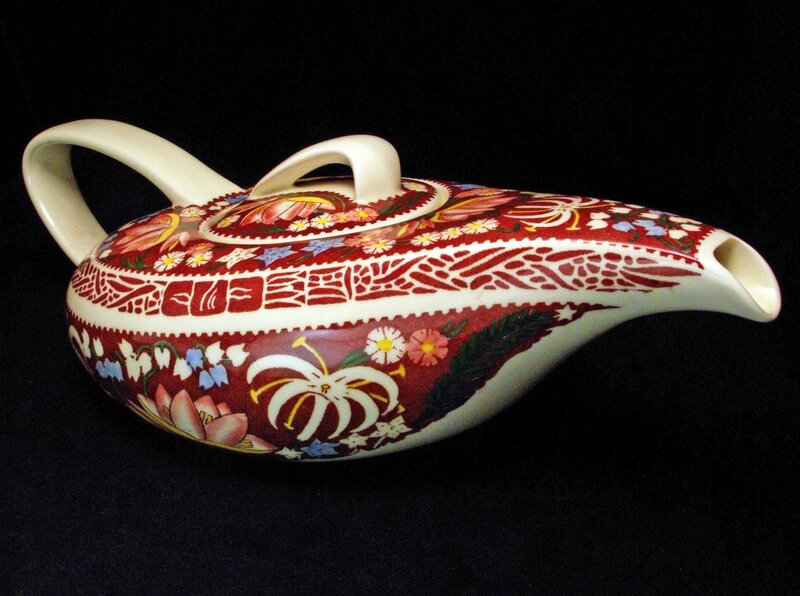 ​While working at 20th Century Fox, Brastoff opened a small decorative arts studio producing hand painted earthenware. The business was so successful that he quit the studio and in 1953, backed by wealthy modern-design aficionado (and future governor of Arkansas) Winthrop Rockefeller, opened a much larger ceramics factory and showroom. The 35,000-square-foot facility was designed by blue-chip modernist architect A. Quincy Jones. 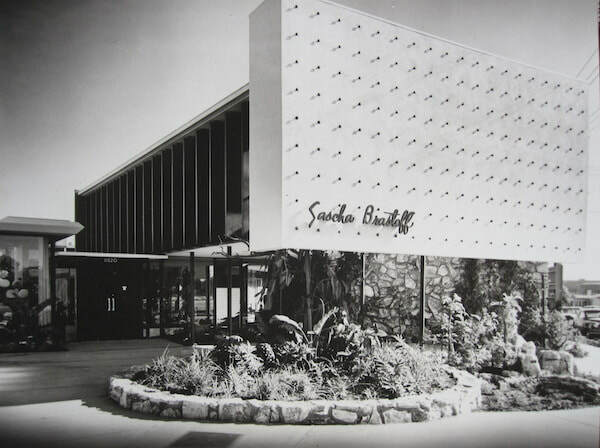 Unfortunately the elegant building was torn down in 1981. 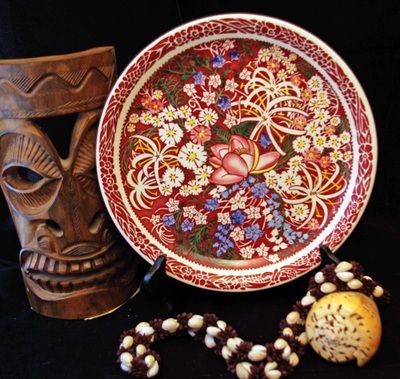 Aloha ! 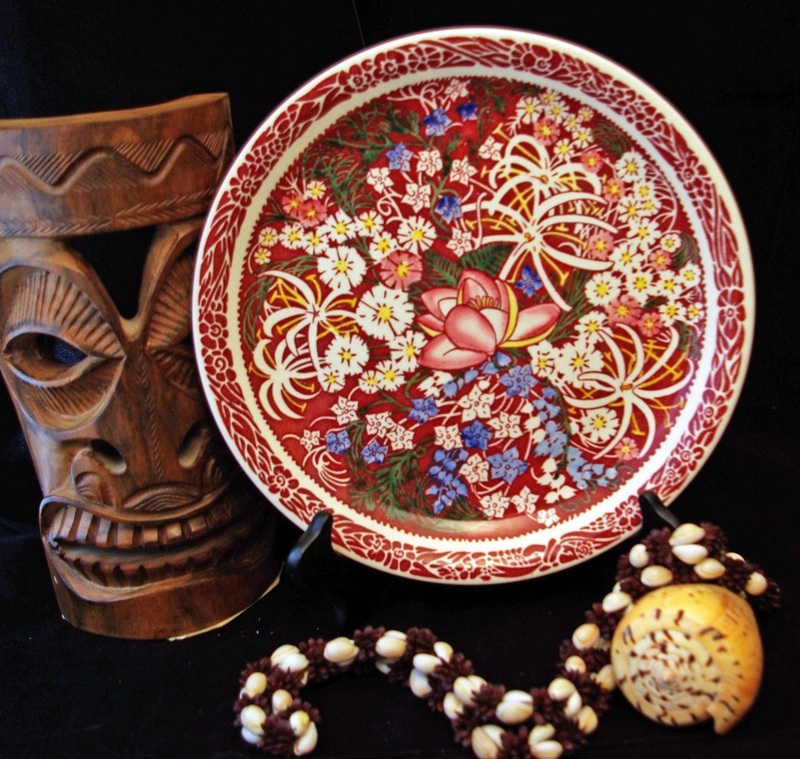 Welcome to the Hawaiian Garden. 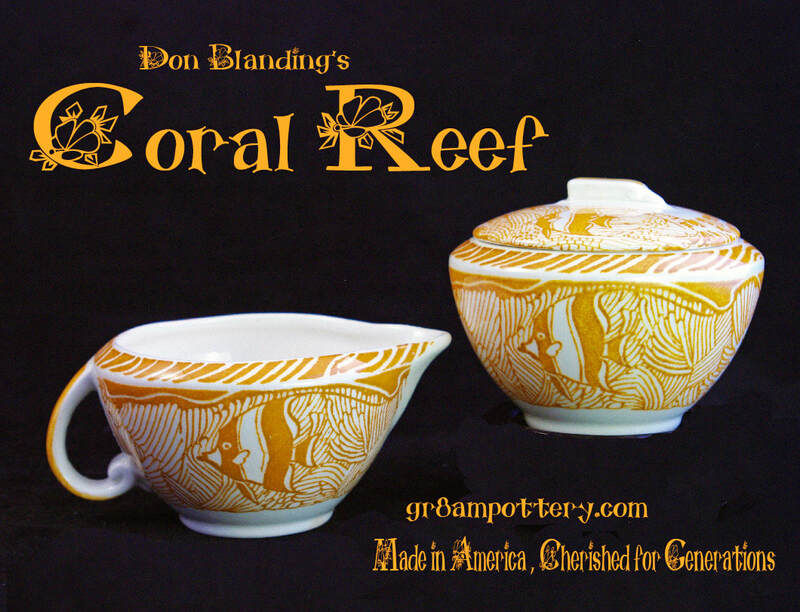 During the late 1930's & well into the 1940's America had a fascination with tropical design & décor. During World War II, U.S. military families were stationed at Pearl Harbor. 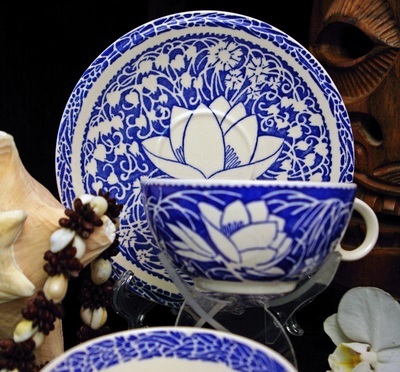 They bought Hawaiian furniture & fixtures, as it was too expensive to ship traditional heavy wooden furniture to Hawaii. 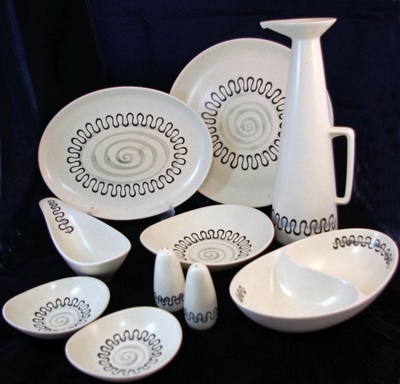 Don Blanding was hired in 1936 by California-based Vernon Kilns to design Hawaiian styled patterns for a line of dinnerware to compliment the tropical furniture. 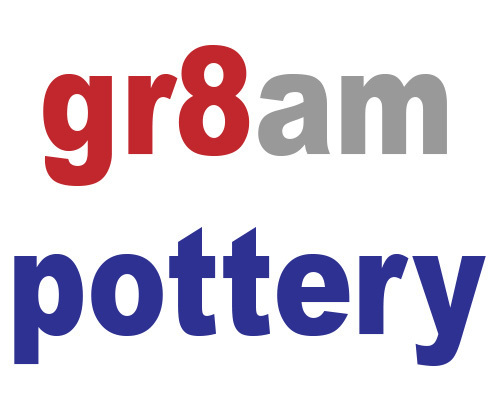 gr8am pottery presents Winchester 73 & Frontier Days as our feature pattern for February 2016. Designed to be marketed in conjunction with the new movie "Winchester 73" starring James Stewart and Shelly Winters. 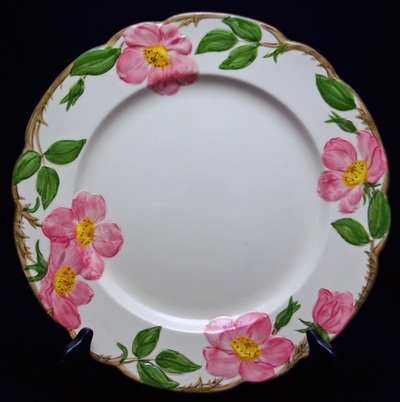 This pattern was introduced in 1950 to tie-in Vernon Kilns dinnerware to the movie. 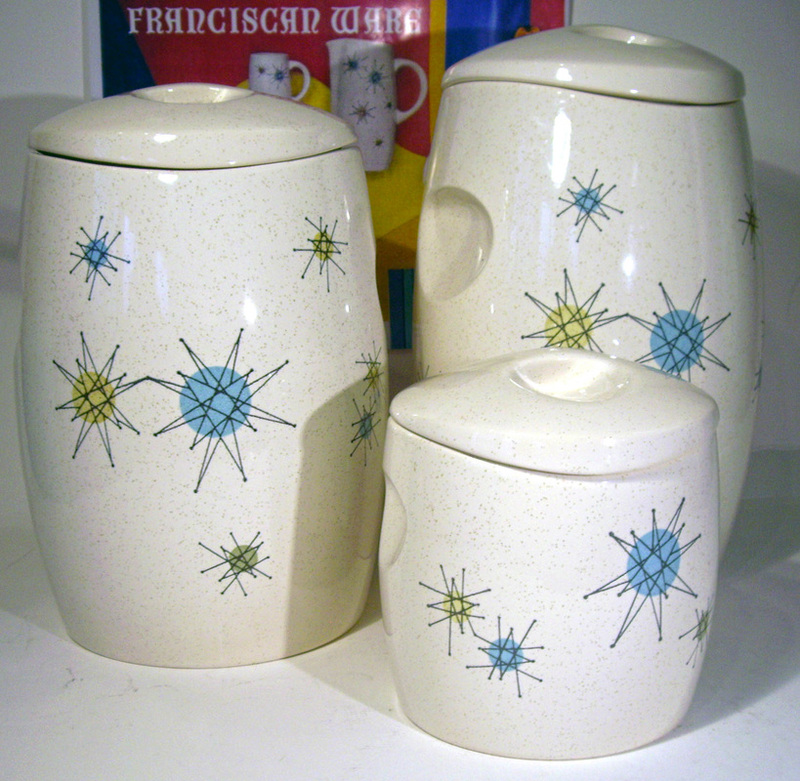 The pattern was also coordinated with Heisey glassware with similar design and name. Due to a change in the movie's premier date, the promotion did not work. 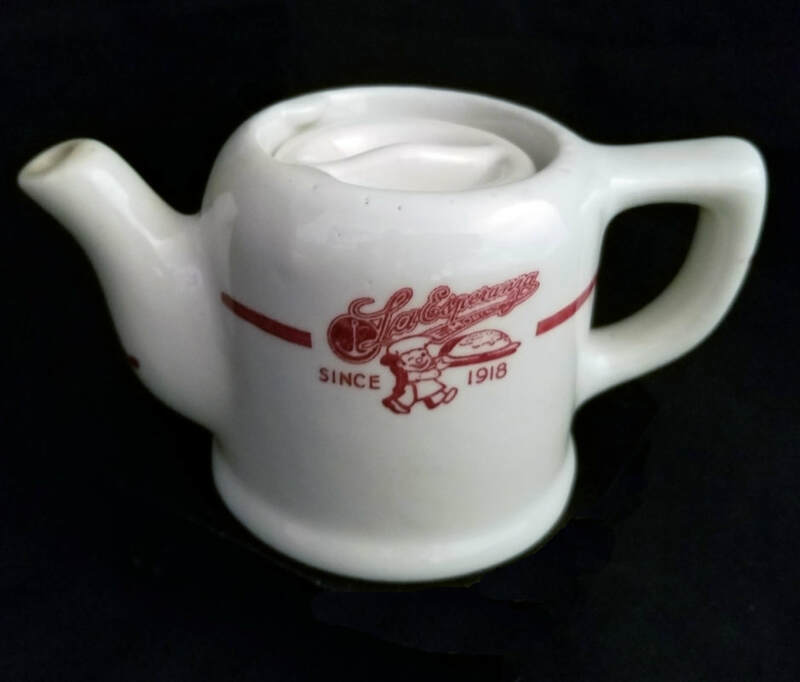 Neither Heisey nor Vernon Kilns could develop the wares and advertising quickly enough to meet the new date. It is now a very rare pattern. 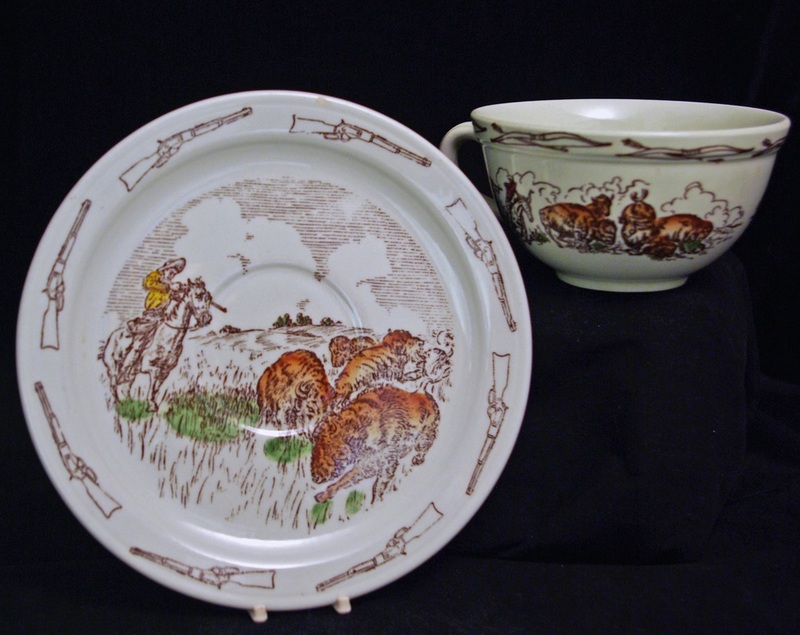 Vernon Kilns would later market the western themed dinnerware as "Frontier Days". 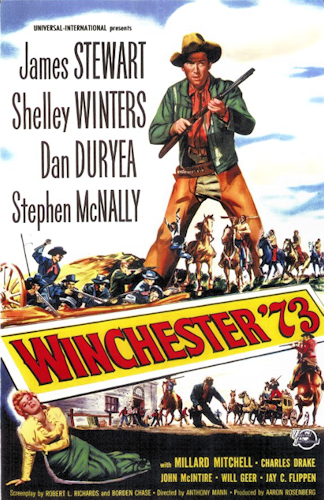 Winchester '73 is a 1950 American Western film directed by Anthony Mann and starring James Stewart, Shelley Winters, Dan Duryea, and Stephen McNally. 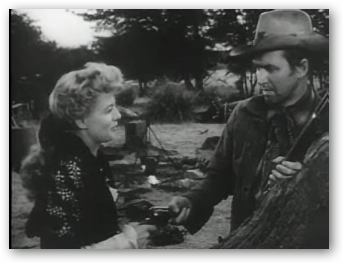 Written by Borden Chase and Robert L. Richards, the film is about the journey of a prized rifle from one ill-fated owner to another and a cowboy's search for a murderous fugitive. The movie features early film performances by Rock Hudson as an American Indian, Tony Curtis, and James Best. The film received a Writers Guild of America Award nomination for Best Written American Western. It was filmed in black and white. 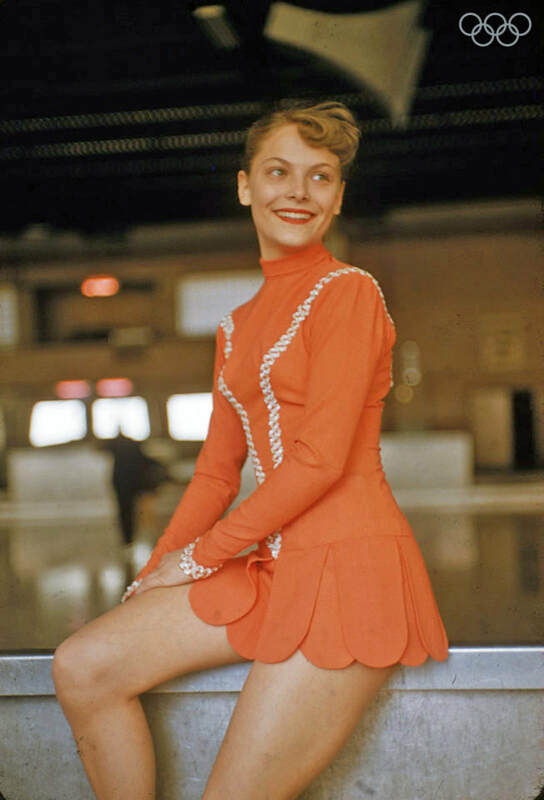 In 2015, the United States Library of Congress selected the film for preservation in the National Film Registry, finding it "culturally, historically, or aesthetically significant". 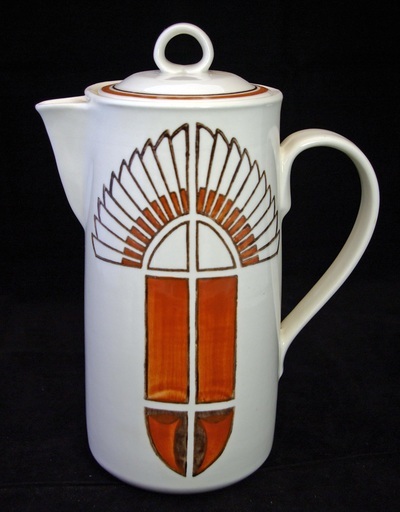 Metlox Potteries of Manhattan Beach, California produced the glazed earthenware "California Mobile"; making its debut in 1954. The Designer of the Freeform shape was Frank Irwin in 1954. 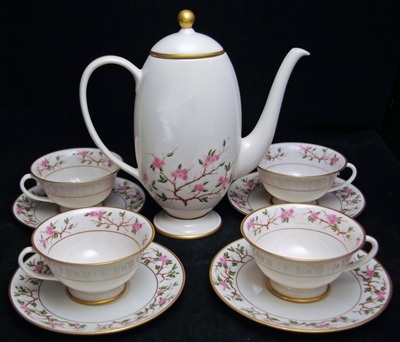 The Designer of the pattern was Robert Allen. 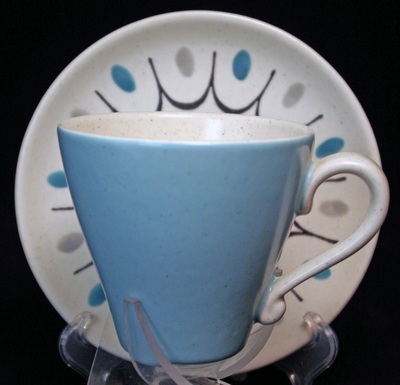 ​Part of the "Poppytrail" Line & the Freeform Shape, "California Mobile" pattern is a glazed white earthenware with purple & aqua green main colors. Metlox Potteries of Manhattan Beach, California produced the glazed earthenware "Contempora"; making its debut in 1955. 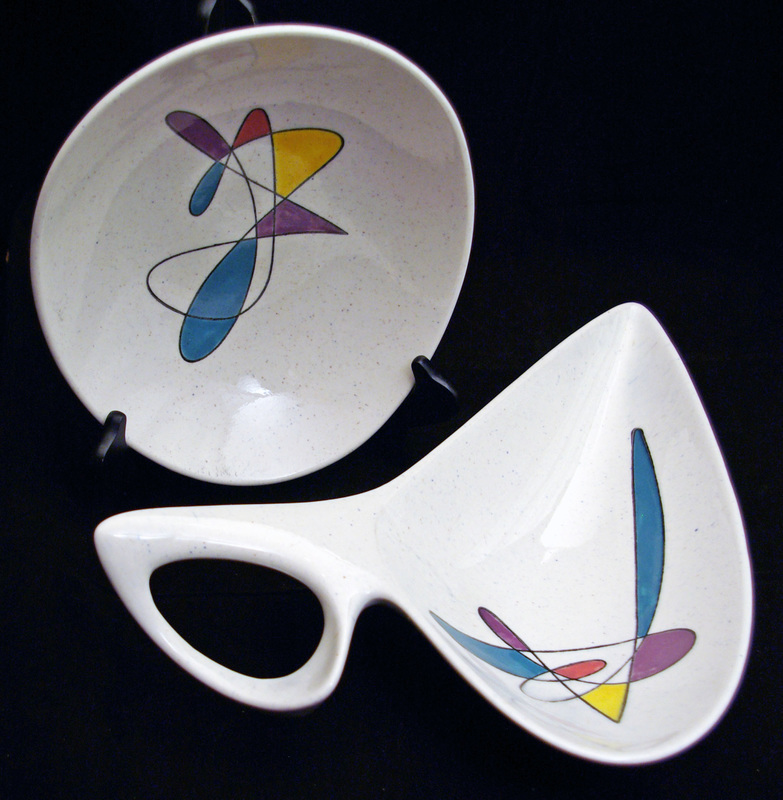 The Designer of the Freeform shape was Frank Irwin in 1954. The Designer of the Contempora pattern was Robert Allen, & it was introduced in 1955. 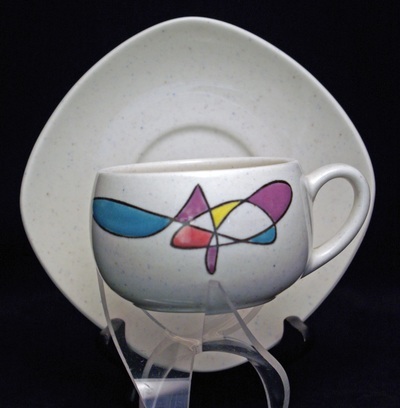 ​Part of the "Poppytrail" Line; the Freeform Shape, California "Contempora" pattern is a glazed white earthenware with black, grey & pink colors. Currently we are only accepting payments through PayPal. Our top priority is to provide you with a safe & secure shopping experience. Shipping & Sales Tax is included in listed item price.